We already discussed about 2 stroke and 4 stroke engine in our previous article with their difeerences as well. Now here in this post we would like to explain about automobile clutch.Clutch is a device that engage and disengage engine according to our need.This also provide the facility to change the gear as per vehicle speed. We already provided the definition of clutch in above paragraph now lets get detail description and understand the function of an automobile clutch. So,there are two plates uses in clutch. clutch plate and pressure plate. when these two plates are engage with each other engine and gear box are connected.When these two plates are disengage engine and gearbox are disconnected that means clutch provide facility to transmit the power from engine to gearbox or transmission system. It is the part that is connected with engine flywheel.This is made from strong cast iron material.In that plate facing is provided for mashing and rotating the pressure plate. Within this plate some holes are provided for passing the oil for lubrication.and some spring are also given for proper mashing with pressure plate.The spring is called clutch spring. It is the part that provide the facility to mash with clutch plate and transmit the power.This is engaged with high pressure with clutch plate. It is also made from cast iron material and the structure is also quite similar to clutch plate as well. Whenever we press clutch pedal, clutch plate and pressure plate becomes disengage therefore engine power can't be transmit to gearbox and when we realize the clutch pedal this to plates become engage. So, Engine power could be transmit till gearbox or transmission system.It is the mail function of clutch assembly. Clutch assembly is the main part of transmission system cause it provides facility to transmit engine power till transmission system and gearbox.It is the next part of the automobile engine. Engine clutch and transmission system or gearbox are connected in one line. 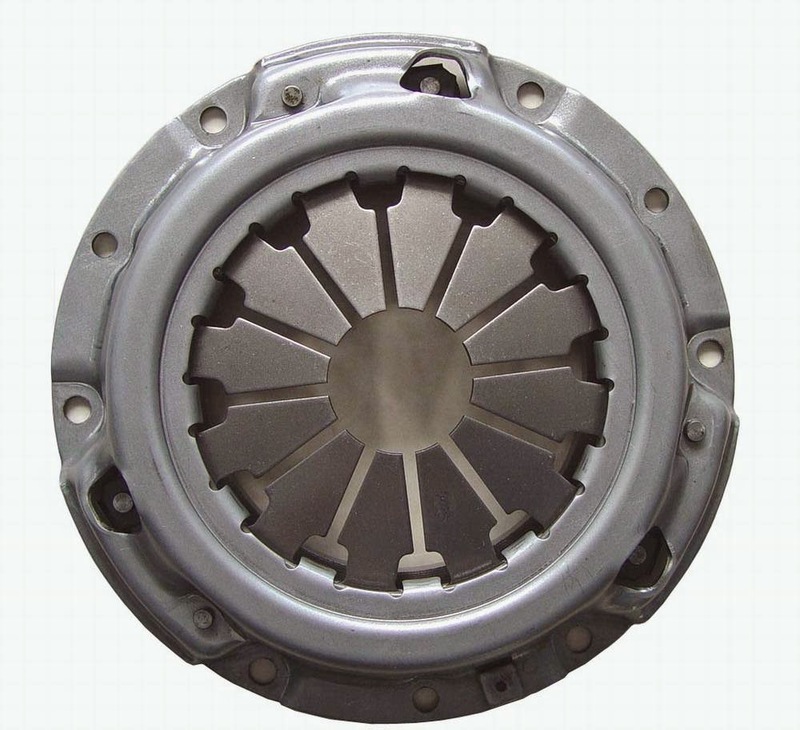 This three systems are connected with each other.Engine, clutch assembly and gearbox or transmission system are connected in sequence.There are many types of clutch uses in automobile like single plate clutch , multi-plate clutch and diaphragm clutch. So have you liked this article?What's your view about automobile clutch?Do share with us through your comment. So that is what a clutch looks like? I am clueless and I don't drive so I have no idea. It's nice to know how clutch works. I'm using an automatic. One of the vital part of the automobile and thanks for posting this article. I showed this to by husband and he can definitely relate since he owns an auto shop. I have actually been on a driving school secretary and clutching is one of the most important on vehicle.. Great information! This is great to know! My boyfriend is currently learning how to drive and he told me that he'd be teaching me too. I gotta know more stuffs like this. Thanks for sharing! I am not familiar with clutch coz i am not into automobile. But my father knows this really well. He is a driver and i am sure he is very familiar with this thing. I've learned driving using a manual automobile but doesn't have an idea what a clutch is although I've been stepping on it all the time, hahaha. I was instructed by my hubby to step on it so I stepped on it, hahaha. Anyway, thank you for sharing this atleast I already know what a clutch is.